Helping people rise from the ashes of their circumstances. Based near downtown Tulsa, Phoenix Assistance Corporation is a 501C3 tax exempt charity registered in the State of Oklahoma and was established to help people rise from the ashes of their circumstances. Many lose their jobs because of no way to get to work. Many people can not find jobs or child care for lack of a reliable car. 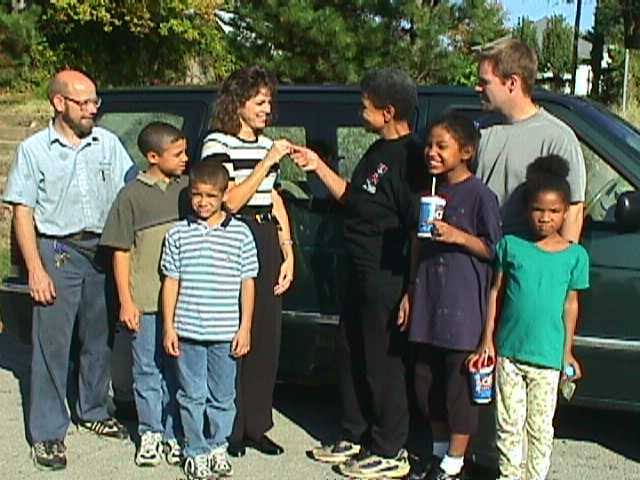 Phoenix Assistance Corporation seeks to help meet the needs of Tulsa's poor by providing major, onsite, or roadside repairs. This includes single parents, widows, people leaving welfare or coming out of correctional institutions. The clients are referred by a social services organization like Welfare, Department of Human Services, John 3:16, Salvation Army, Churches, etc. Repairs are subsidized by clients, donations and referring agencies be they state, federal, private, or religious. Donations of cars to be given to qualified recipients are sought from private and public sources. Affiliated with Cornerstone Assistance Network, Phoenix desires to be part of a total care package for families and individuals in the Tulsa area. An agency would meet the physical, medical, housing needs and Phoenix would be an extension of this agency to meet the automotive needs. Phoenix Assistance had a large boxtruck with workbench, generator, air compressor and a large assortment of hand tools as well as supplies for most automotive repair and maintenance jobs. 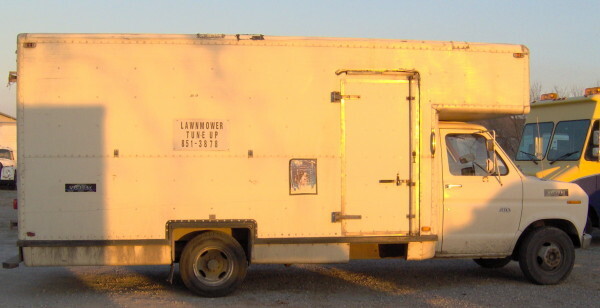 This mobile shop was used at 3-4 weekend car clinics per month hosted by several churches and aid agencies in the Tulsa area. Phoenix helps provide technical expertise and tools at these clinics. Along with the boxtruck a pickup and tow dolly are used during the week to tow vehicles and provide onsite repairs such as tuneups, brakes, axles, water pumps and other repairs for single moms, the elderly, and people referred by aid agencies. For several years more extensive repairs were done in borrowed facilities or in the open. This had made it difficult to do the hundreds of major repairs requested every year. But on opportunity came up to build a 25 by 30 foot shop near downtown tulsa. dhorner@usa.net or call at (918) 728-5111. To schedule pickup of donated vehicles, please call Phoenix Assistance Corporation at (918) 728-5111. Donations are tax deductible to the full extent of the law. Monetary donations can be made by check sent to the above address or by paypal to dhorner@usa.net with a note of your name, address and phone number so we can send a receipt.